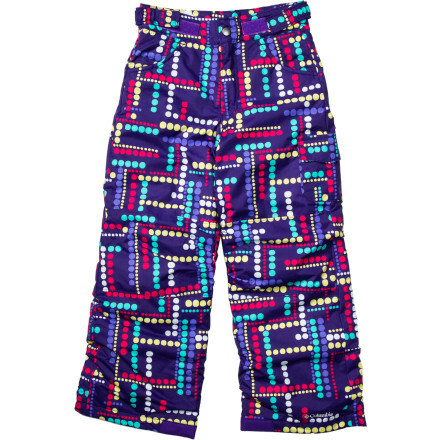 This little ripper is well-stocked with hill-worthy features and tailored to provide a cute, comfortable fit. Waterproof MemBrain fabric is lined with velvety brushed tricot that wicks moisture away from your skin for lasting comfort. Snap closure and zip fly for easy on/off. 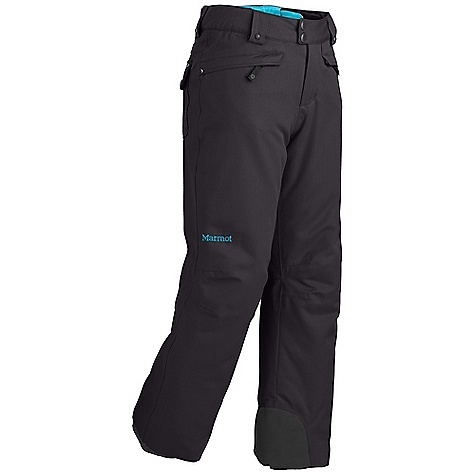 Articulated knees provide freedom of movement; zip leg cuffs with internal flex boot gaiter. 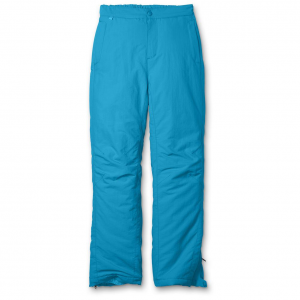 Marmot's Skyline Insulated Pant starts with staying warm and ends with staying dry, so she can ride all day. The MemBrain waterproof and breathable fabric and 100% seamed-sealed construction ensures that precip stays out and she rides longer. 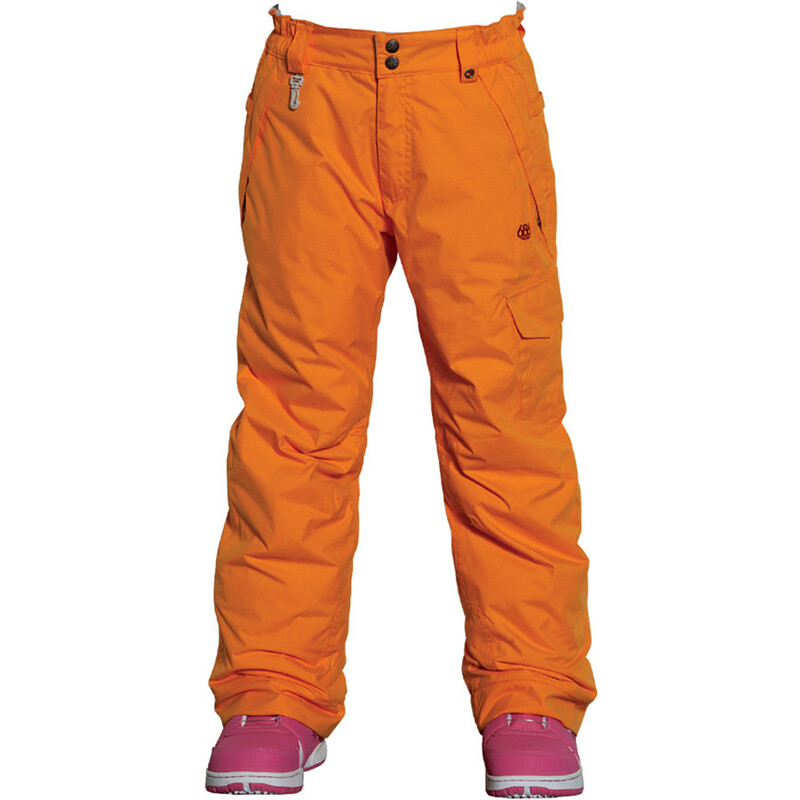 The Marmot Skyline insulated pants helps keep snow-happy girls warm and dry while playing outside on cold winter days. 2-layer polyester MemBrain(R) laminate construction offers waterproof, breathable protection; fully taped seams prevent moisture seepage. Warm, soft and compressible polyester insulation offers superior warmth. Brushed tricot lining wicks moisture and adds a layer of warmth to seat and thighs. Zippered hand pockets warm chilly digits. Zippered fly with snap-closure waistband and belt loops personalize the fit. 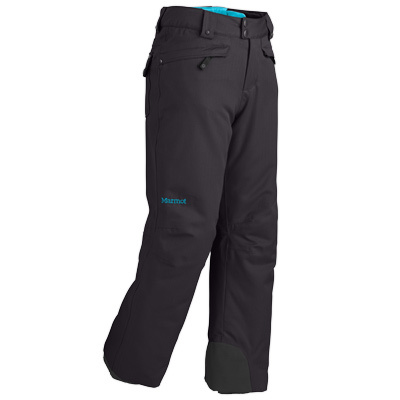 Marmot Skyline insulated pants feature internal leg gaiters with gripper elastic to keep the snow out. Scuff guards at cuffs minimize abrasion from boot or ski contact. 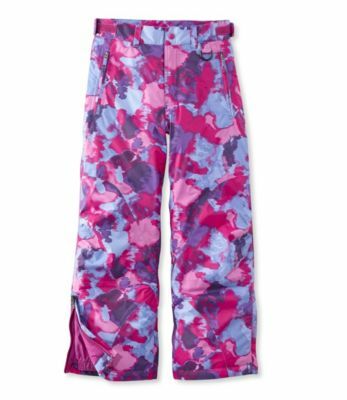 The Girls' Skyline Insulated Pant has been discontinued. 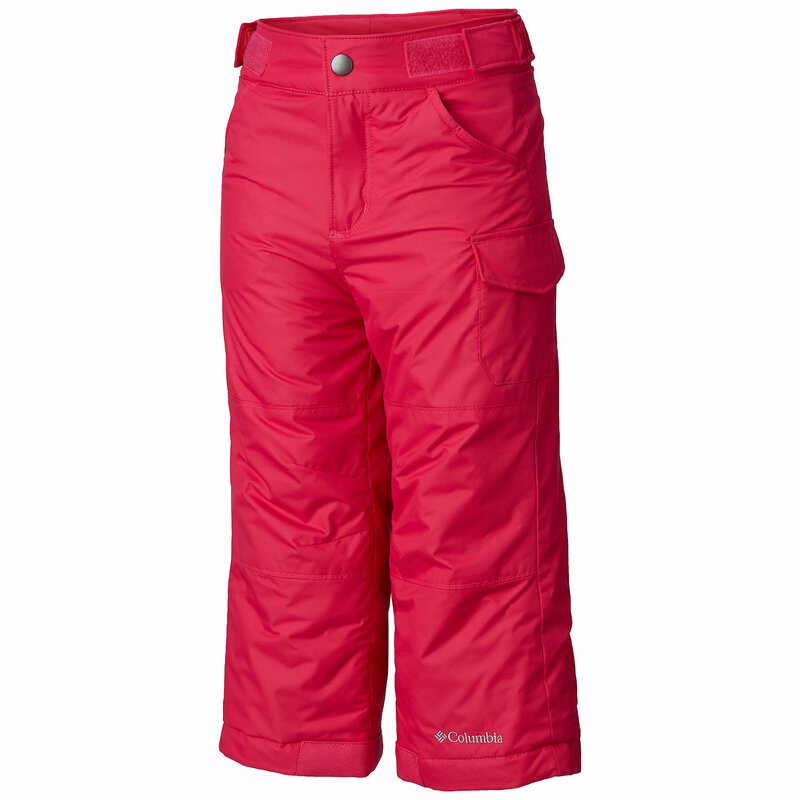 The Marmot Girls' Skyline Insulated Pant is not available from the stores we monitor. It was last seen November 17, 2014	at Massey's Outfitters.